Independent Telephone Engineer. I carry the latest fault diagnostic equipment enabling me to identify the fault and where it is, quickly and efficiently. Most faults are identified and fixed within the hour. Telephone extensions fitted by a BT Trained Telephone Engineer, faulty BT line need fixing? Telephone Extensions, Telephone Wiring for phone line internet & Sky. Need an extra point or a telephone fault fixed? 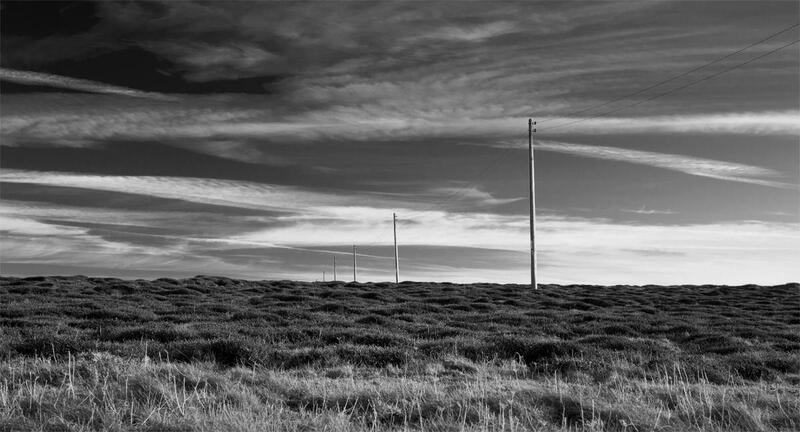 Slow broadband? Noisy line or no line at all? — We can shift a telephone socket if it’s in the wrong place, or disconnect telephone wiring if you are having building work done. If you need the telephone cable relocating, or the telephone socket wiring altered I can help. — We can shift or re-route telephone wiring & tidy up old loose existing wires. If your telephone socket is hanging off call an independent Telephone Engineer now on 0800 014 1571! — You may have just moved property & want to identify cables before decorating, or digging if you are underground fed! — You may want to fell a tree, demolish a building or have a high vehicle entering your property for which you need a temporary or permanent reroute of overhead cables, we can help. 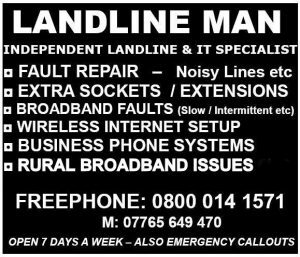 Please call Landline Man® if you are worried that the fault is on your equipment because we can save you a lot of money and your service provider will invariably charge in excess of £100 just for the visit! Additional work may be charged by the hour & be very expensive. I can provide the same high level of care as your service provider at a fraction of the cost.